Clean up after your pet. Most apartment communities have pet stations located throughout the property to make it easy for you to clean up after your pet. If not, remember to carry plastic bags or specialized waste removal bags for your pet. Accidents do happen from time to time, but as long as you stay aware and your pet is on somewhat of a schedule, preparing ahead can minimize occasional mishaps. A quick wipe of the paws before entering the common areas is also appreciated! Paw prints are cute, but to the maintenance staff who just mopped the floors…not so much. Mind the Bark Park rules. Many communities provide on-site Bark Parks where pets can romp and play and work off some of that extra energy. Depending on your dog’s temperament, dog parks can sometimes be stressful for your pet. If that is the case, it’s probably a better idea to walk the dog in the neighborhood and at nearby parks. Make sure to pay attention to the Bark Park rules at your community and enjoy this additional amenity. Respect personal space. Not everyone is a pet enthusiast, so make sure to respect the personal space of your neighbors and don’t let your dog off leash in any common areas except the Bark Park. 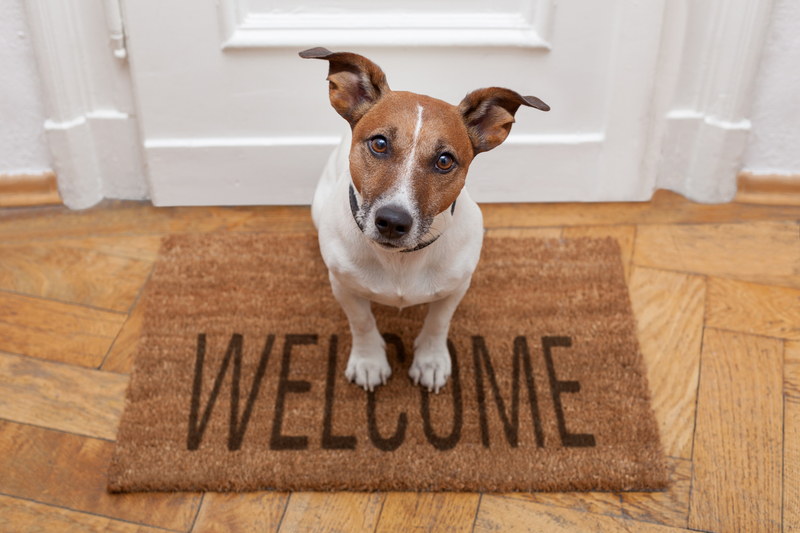 Dogs greet in different ways than we do, so know how your dog says hello and then make sure to let the person know your dog is friendly and ask if they are comfortable with pets. If your dog is shy or nervous with strangers, make sure to let the person know. Also, if your dog is a medical support dog and is ‘on the clock,’ make sure to let everyone know so the dog does not become distracted by petting. Consider professional training. Keeping up with your dog’s training benefits the dog and everyone it comes in contact with. Consistent, understandable training is a dog’s best friend, other than you! Keep up with vaccinations. All pets must be properly vaccinated for the safety of your pet and the safety of others. Keep the howling to a minimum. Of course, pets are going to make noise from time to time, but excessive barking, howling, and yipping can be very disturbing to your neighbors. Follow your dog trainer’s advice to keep the verbal expressions under wraps. Keep the lines of communication open. If your pet does something to disturb a neighbor, apologize. Keep the lines of communication open. Pets can be unpredictable at times, but if we do our best to train them, love them, and show respect for others, pet ownership can be one of the greatest amenities in apartment living. What is your advice on co-existing with pets in an apartment community? Tell us all about it and send us some dog selfies at #LifeatWeidner!